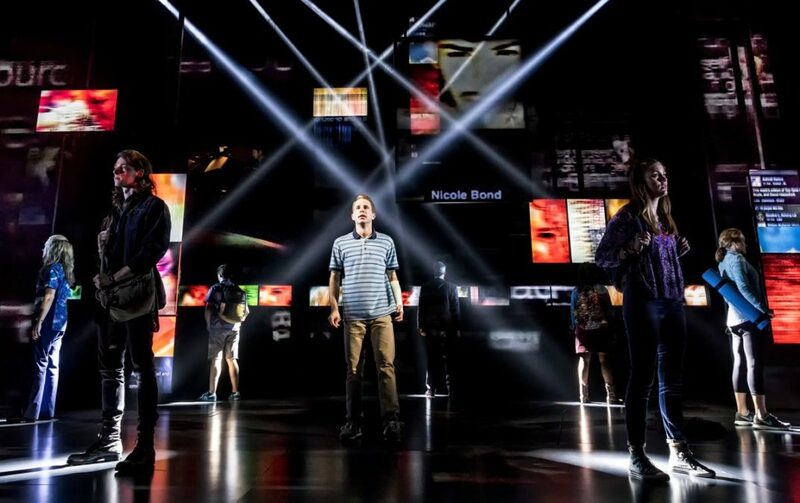 The timely new musical Dear Evan Hansen and a gorgeous revival of Hello, Dolly! triumphed at the 2017 Tony Awards, in a ceremony hosted by Kevin Spacey, held on June 11 at Radio City Music Hall. Hansen won six Tonys, including Best Leading Actor (Ben Platt), Featured Actress (Rachel Bay Jones) and the top prize of Best Musical. Dolly! took the Best Revival of a Musical prize, with headliner Bette Midler winning the Leading Actress Award and featured player Gavin Creel winning for his performance. J.T. Rogers' epic play Oslo took home the award for Best Play, while cast member Michael Aronov won for his performance in the work. The Tony for Best Revival of a Play went to the first Broadway production of August Wilson's Jitney. In one of the night's most interesting wins, Cynthia Nixon won a Tony for her performance as Birdie in the revival of Lillian Hellman's The Little Foxes. Nixon rotates performing that role and the play's lead role of Regina with Laura Linney, who was nominated in the Leading Actress category but lost out to Laurie Metcalf for A Doll's House, Part 2. A full list of 2017 Tony winners can be found below.